Saint Patrick’s Day (March 17th) is the biggest date on the Irish calendar and is extremely popular across the rest of the world as well. 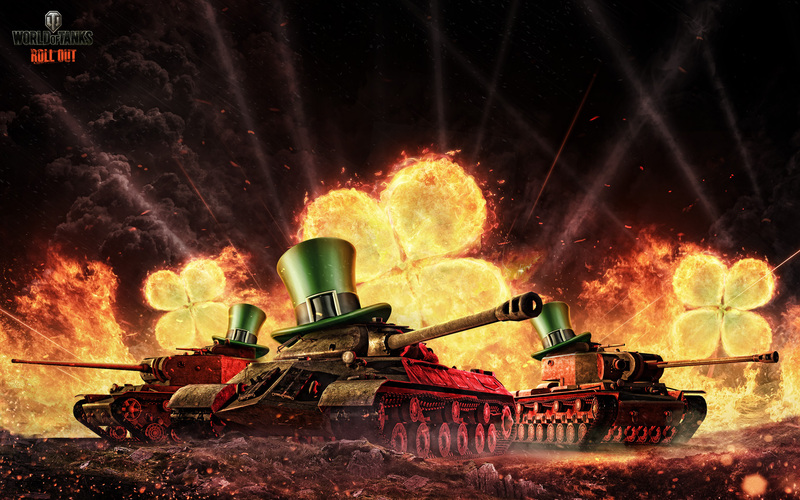 Celebrate with us by decking your tank out in some green camo and taking to the battlefields with a host of bonuses. Get out your binoculars and see how many vehicles you can spot for your team to damage! Help your team damage at least 6 vehicles by detecting them, and earn the Patrol Duty medal along with an extra 25,000 credits as a reward! This bonus will be automatically credited to your account when you receive the medal and no further action is required. Tank destroyers hide in the undergrowth like snakes. It’s time to drive them out into the open! All that partying in the barracks has to be good for something. Your crews will learn skills faster this weekend! 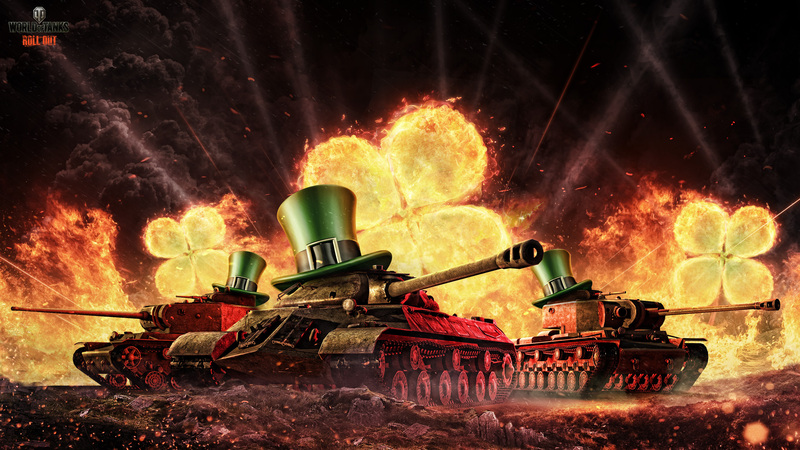 Whatever your favourite nation, it’s time to get heavy this weekend! Once you have bought one, you can earn extra credits with it all weekend! Perhaps you’ll find a pot of credits at the end of the rainbow. Got your eyes on some shiny gadgets for your tank? Get them half price while you can! 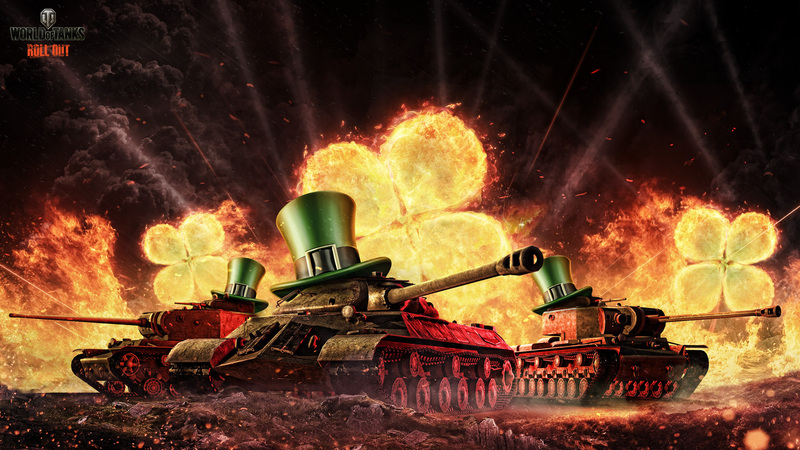 Whether spending credits or gold, paint your tank green for less! Get your 50% extra credits and experience with premium account time, now going cheap! Saint Patrick has long been the patron saint of Ireland, despite not actually being Irish! He is known to have been the son of a Romano-British army officer. However, as a child he was captured by slavers and taken to Ireland. For around six years he worked on the farms as a slave. During this time he started to dream of seeing God who told him about a ship he could escape on. He did manage to escape and went back to Britain. He then went on to France where he joined a monastery, spending a decade in training. Eventually he became a bishop and after having more dreams of God, he went back to Ireland and began to convert the mainly pagan population to Christianity. The most famous legend associated with him regards the snakes of Ireland. Supposedly the snakes were causing death and illness across Ireland, so Saint Patrick put the curse of God on them! He then drove all the snakes into the sea where they drowned. Saint Patrick’s Day has been celebrated ever since, and is associated with the wearing of green and drinking copious amounts of alcohol. Another legend states that during the Seven Year’s War (1756 – 1763), the French troops staged an attack against the English on Saint Patrick’s Day, hoping to find their mainly Irish recruits all too drunk to fight. However, the English had realised that their army was mostly Irish and had allowed them to celebrate a day early, having predicted the French attack. In modern days, Saint Patrick’s Day is the only event of its kind to be celebrated across the globe. This is partly due to the mass emigration of the Irish people in the 18th and 19th centuries, who took the customs with them wherever they went. Those customs then caught the imagination of the rest of the world. The result is that the modern Saint Patrick’s Day is a truly international boisterous and drink-filled celebration of Irishness that crosses all boundaries of culture and religion. So, what do you say commanders? 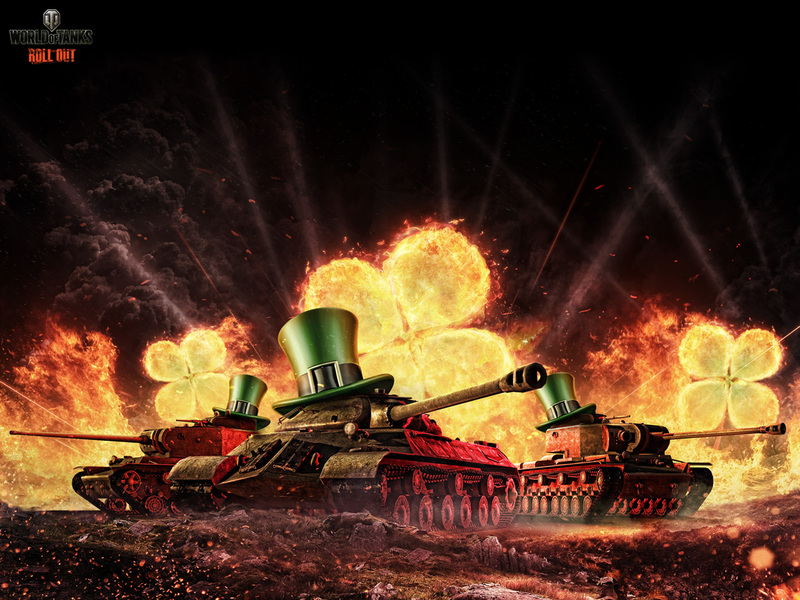 Paint your tank green and hit the battlefields to join the celebrations with us! Do you like the image that accompanies this news? It's available as a wallpaper! Download it below in the size that best suits your screen.